On 21st March, we revealed our expanded US site in Lakeland. The newly expanded site provides a much needed 50,000sq ft manufacturing and 15,000sq ft laboratory and office space. The expansion has increased manufacturing capacity, as well as almost quadrupling the technical center while providing a modern and upbeat administrative facility. This will strategically free up much-needed space to support future growth. “Our people remain the central pillar of our organization and they are what make Treatt the place it is today. It is therefore important that we provide our talented, local workforce with the resources to help maximise our business potential. Ensuring our people are best-placed to support our international customer base remains one of our top priorities. The expansion has not only increased our manufacturing footprint but has also doubled our capacity in key product categories. 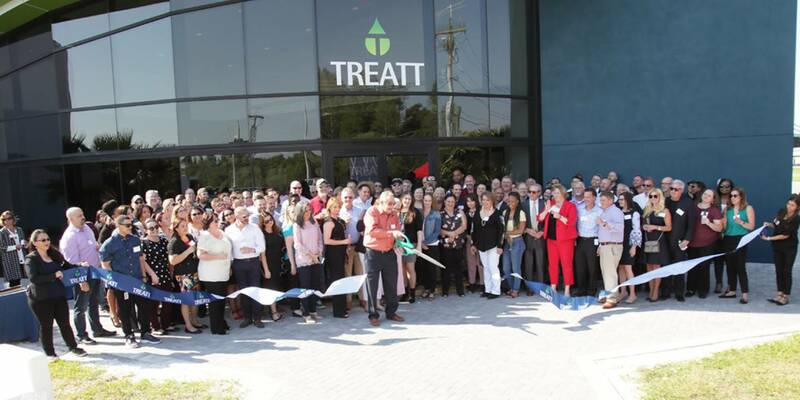 It’s a key investment for Treatt’s future growth; growing and building Treatt for the long-term. We continue to strengthen industry-leading innovation, by investing in technology and our people, the critical components for success to bring effective solutions to the market. With people at the forefront of investment, we have modernised the facilities to provide an upbeat and smart work environment for our employees. The build has also enabled the incorporation of more efficient energy saving technologies to minimise environmental impact. This is an exciting development for us which will help us continue to develop industry-leading innovation and support our global and growing customer base.